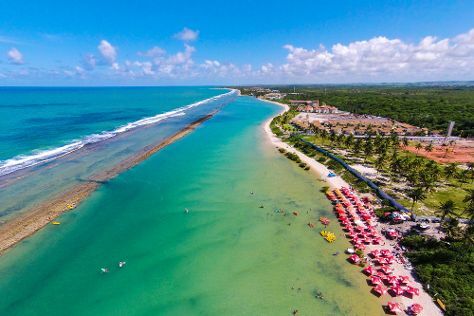 On the 3rd (Thu), tour the pleasant surroundings at Vila de Porto de Galinhas Beach, kick back and relax at Muro Alto Beach, and then steep yourself in history at Massangana Sugar Cane Mill. On the 4th (Fri), you'll have a packed day of sightseeing: stroll through Pontal de Maracaipe, see the interesting displays at Museu das Tartarugas - Ecoassociados, then explore the gorgeous colors at Natural Pools of Porto de Galinhas, and finally take in the exciting artwork at So Arte. To see more things to do, maps, and more tourist information, read Porto de Galinhas online trip planner . Expect a daytime high around 33°C in October, and nighttime lows around 28°C. Finish your sightseeing early on the 4th (Fri) to allow enough time to travel back home.